How to upgrade to Latest Firefox 40 in Ubuntu - Mozilla Firefox as one of best browser updated to version 40. Bring more features, User Interface improvements, performance and fix critical security issues. The release notes call out “improved scrolling, graphics, and video playback performance with off main thread compositing” for Linux users. What's new on Firefox 40? 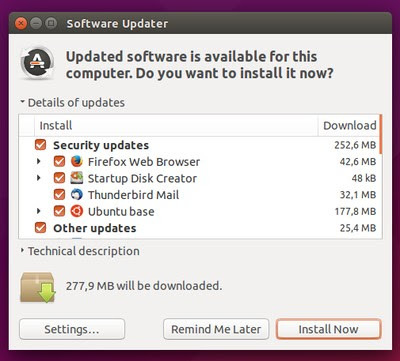 Once installed you might to install some useful Mozilla Firefox extension. Read our previous post at Useful Mozilla Firefox Extension Must Installed. That's all I can write about News Released Firefox 40 Improves Video Playback and how to upgrade in Ubuntu Linux. Hope you've enjoyed reading this tutorial as much I’ve enjoyed writing it. Thanks for visiting us.